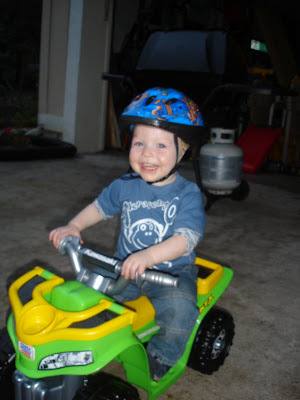 I got a cool motorcycle from Uncle Hunter, Aunt Fara, Marin and Riley for my birthday. I am finally big enough to ride it (even though I don't know how to steer still). 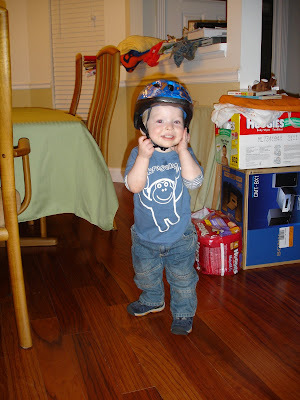 But Mommy is a crazy lady and makes me wear a helmet. I think I scared her that first time when I crashed into the back of Daddy's car because I didn't steer.